For The Inspiration and Recognition of Science and Technology. The FIRST Robotics Competition inspires students of all ages and background to work in STEM fields. 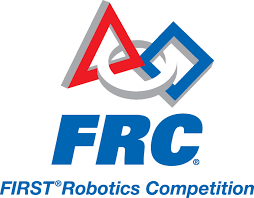 FIRST Robotics Competition is considered "the hardest fun you'll ever have." In teams of 20 or more, students are tasked with designing and manufacturing a robot within a 6 week, intense build period. Students compete in a basketball court-sized game field to complete difficult tasks against other FIRST Robotics Teams. Team 5851, the Striking Vikings is in their fourth year of participating in FIRST. . The Striking Vikings are strongly supported by the community— local organizations, businesses, and philanthropists— in hopes to promote STEM in the city and spread the growing importance in the industry. Many organizations contributed financially, but some others supported the team by providing a space to work or promoting our activities on their social media platforms. To give back to these organizations, the team sets aside time to participate in community events and present their activities in city/business meetings.